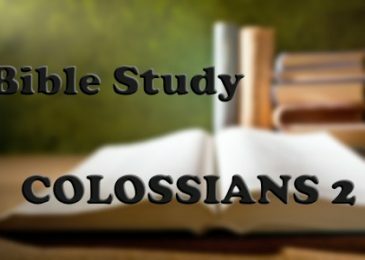 NASHVILLE (BP) — This weekly Bible study appears in Baptist Press in a partnership with LifeWay Christian Resources of the Southern Baptist Convention. 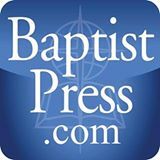 Through its Leadership and Adult Publishing team, LifeWay publishes Sunday School curricu..
NASHVILLE (BP) — This weekly Bible study appears in Baptist Press in a partnership with LifeWay Christian Resources of the Southern Baptist Convention. Through its Leadership and Adult Publishing team, LifeWay publishes Sunday School curricula.. 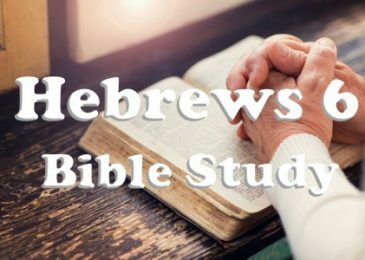 Here is a Bible study on Hebrews chapter six with a summary and discussion questions to follow. We see from this passage that there is a carryover from .. 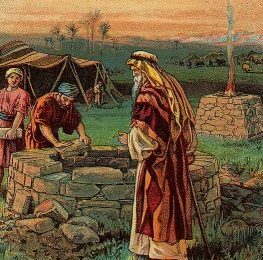 Despite his position as a patriarch (Then he said, “I am the God of your father, the God of Abraham, the God of Isaac, and the God of Jacob”), Isaac doesn’t play much of a role in Genesis. In broad terms he serves as the son of Abraham and the father of Jacob. There is only one rather short segment where Isaac is the primary actor. In Genesis 24 Abraham sends his trusted servant to get a wife for Isaac from their own people. Isaac receives his wife – but that is his only action. In 25:9 Isaac an.. Copyright (c) 2016 Baptist Press. Reprinted from Baptist Press (www.baptistpress.com), news service of the Southern Baptist Convention. 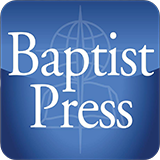 NASHVILLE (BP) — This weekly Bible study appears in Baptist Press in a partnership with LifeWay Christian Resources of the Southern Baptist Convention. Through its Leadership and Adult Publishing team, LifeWay publishes Sunday School curric.. The Apostle Paul was concerned with those who had bondservants that they be treated fairly and justly and not be taken advantage of, which was happening to many of them, particularly those who are outside of the household of faith. That’s more understandable for unbelievers but we have no excuse.. 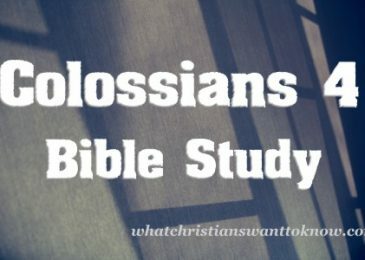 Here is a Colossians 2 Bible study with a summary and discussion questions. I love the Apostle Paul’s authenticity and transparency as he confesses that he has struggle ..